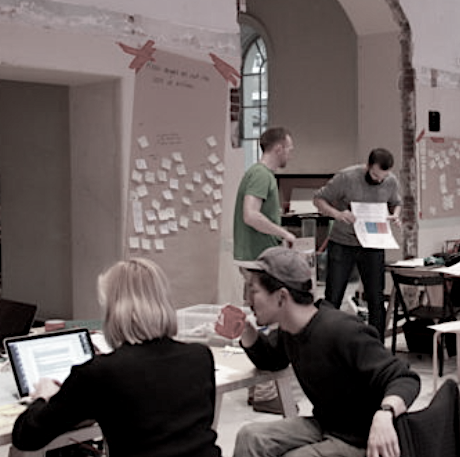 London-based Makerversity has cut a deal with Grey Consulting to develop innovative solutions for the latter’s clients. Makerversity, a 500-strong community of creative innovators, curates talent from across product design, fashion, art and experimental architecture to sustainable materials, the IoT, digital manufacturing and coding. The central London space is designed to encourage collaboration between members from different disciplines to foster new ways of thinking. Grey, a ‘transformational’ strategic consultancy, working with banking, public health, retail, FMCG and entertainment clients, is looking for the alliance to come up solutions together with real innovators. “Being so tightly connected to a community of makers means we don’t just develop transformational strategies but can quickly realise them in three dimensions, says the company’s CEO, Leo Rayman. “Makerversity acts as a catalyst for unexpected encounters, fostering collaborations between an incredible range of the brightest leading creators and innovators,” says Fiona Dent, head of Makerversity. “Our experimental approach and engaged members, whose own practice is defining our world, create highly original new outcomes.